Norway is beautiful in summer and offers a wealth of exciting activities for both adults and children. 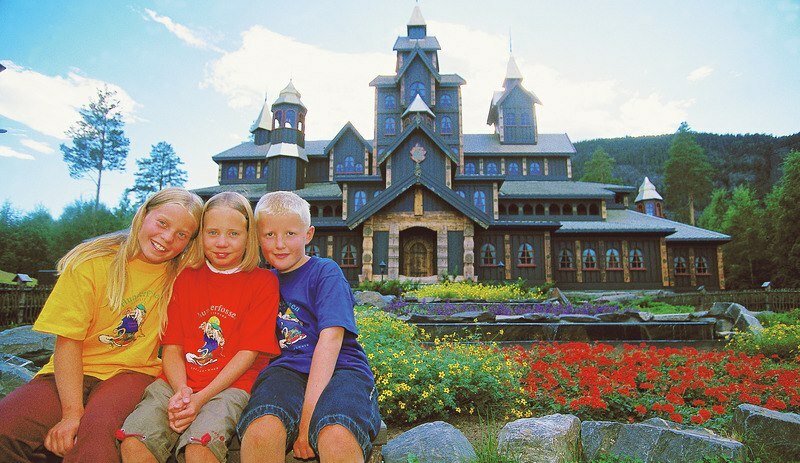 What about visiting Norway’s biggest lake at Hamar or one of the largest family parks in the country at Lillehammer? Or perhaps head for Kristiansand and its exotic zoo? Hamar is the perfect destination for anyone looking for an active holiday, offering as it does a broad spectrum of activities and attractions. Hamar is located beside Lake Mjøsa, the largest lake in Norway. Here you can take a trip aboard Skibladner, the world’s oldest paddle steamer still in service, and enjoy the picturesque scenery along the shores of the lake. At Domkirkeodden in Hamar you will find the Hedmark Museum, one of Norway’s largest mediaeval museums. The museum depicts history from the Viking era through to the modern day. It is also home to the biggest national heritage herb garden, with over 400 different plants. The Viking Ship (Hamar Olympic Hall) is a modern multi-purpose hall boasting exciting architecture. Many large trade fairs and cultural events take place here every year. The facility was built for the 1994 Winter Olympics in Lillehammer and is one of the largest skating rinks in the world. Stay at First Hotel Victoria in historic Hamar and enjoy the beautiful scenery and fascinating cultural experiences. The Lillehammer region offers a wide range of outdoor activities. Lillehammer and the Gudbrandsdalen valley are a paradise for families, whether for a summer holiday, a mini-break or a weekend trip. Come and explore Hunderfossen Family Park, which is one of the largest attractions of its kind in Norway. The park offers a wide selection of activities and experiences for families, with its focus being families with children aged 1 to 13. Visit Barnas Gård (Children’s Farm), located just a few metres from Hunderfossen Family Park. Here both young and old can enjoy a cuddle with the animals. You can feed the lambs, run around with the goats or enjoy petting the rabbits. Pay a visit to Maihaugen, one of Norway’s largest museums. Maihaugen is a living museum offering both cultural experiences and family activities. Summer brings a whole host of activities, promenade performances and guided tours for visitors of all ages at this open-air museum. Stay at First Hotel Breiseth, close to all the attractions of Lillehammer. Kristiansand is the biggest city on the Sørlandet and definitely worth a visit. Kristiansand has a lot to offer for both families, couples and single travelers. Take a trip to Kristiansand Zoo, which is open daily all year round. Take a train ride through Hakkebakkeskogen and meet Klatremus, Mikkel Rev, Morten Skogmus, Bamsefar and the other animal characters. You cannot go far wrong with a trip to a waterpark for the kids, ideal for both young and old. Aquarama in Kristiansand is a complete facility offering a waterpark, sports pool, diving facility, spa, fitness centre, sports hall and a variety of other healthy activities. What about something cultural, with a visit to Kilden Performing Arts Centre – the biggest cultural facility in Sørlandet – or a ride on a hundred-year-old steam train on the Setesdalsbanen heritage railway? Check in at one of our hotels for an enjoyable get-away. We serve delicious breakfasts and make up your bed for you, so you can spend your time doing exactly what you want!